Passing a sugar cane stand on a hot sunny day in Hoi An is a frequent delight. There’s even a stand outside of Cafe Zoom where a small cup is sold for just 5,000 Vietnamese dong. 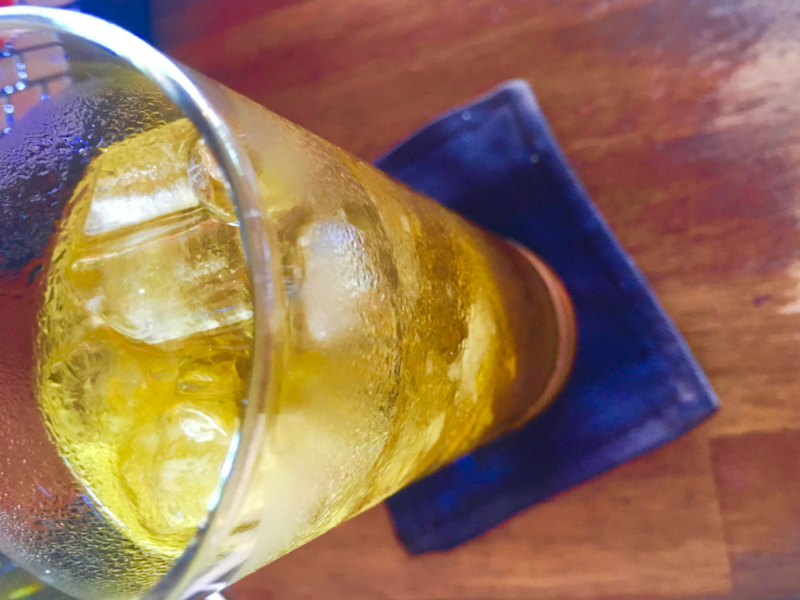 The refreshing afternoon drink is extracted from sugar cane stalk, and it surprisingly offers several health benefits, such as increasing your body’s protein levels! Here in Hoi An, green tea is in abundance and tea breaks are always acceptable. Come try a delicious breakfast at Cafe Zoom where you will be given a complimentary glass of this refreshing green tea! 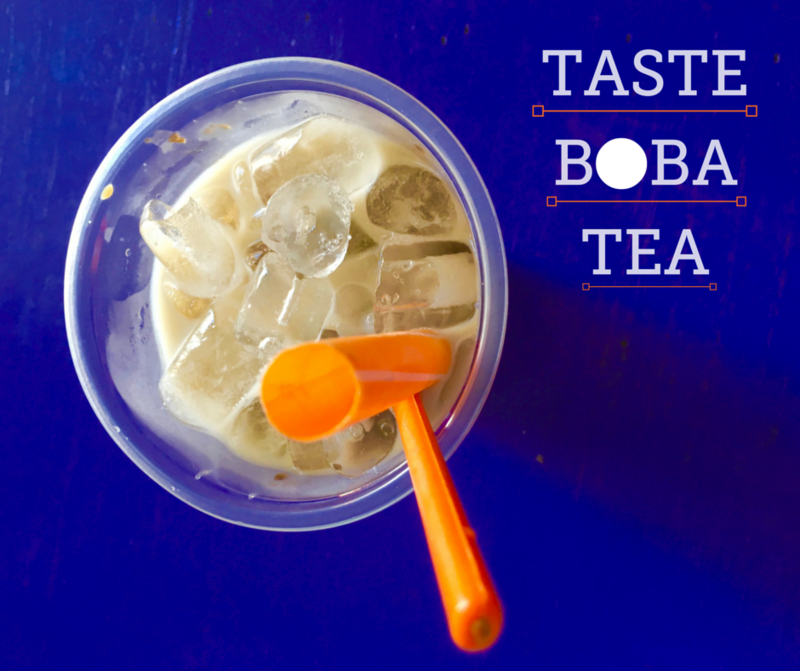 Try the Trà Sura Khoai Môn, or Milk Taro Bubble Tea right next to Cafe Zoom. If you don’t feel brave enough to add in the tapioca balls or the fruit jellies, no need to worry because there menu is expansive. This Taiwanese drink can be served frozen or with ice, but either way it’s a refreshing drink to begin or end your day. Enjoy a delicious and savoring glass of passion fruit juice during your stay here in Vietnam. Passion fruit thrives in tropical and subtropical regions such as Vietnam. 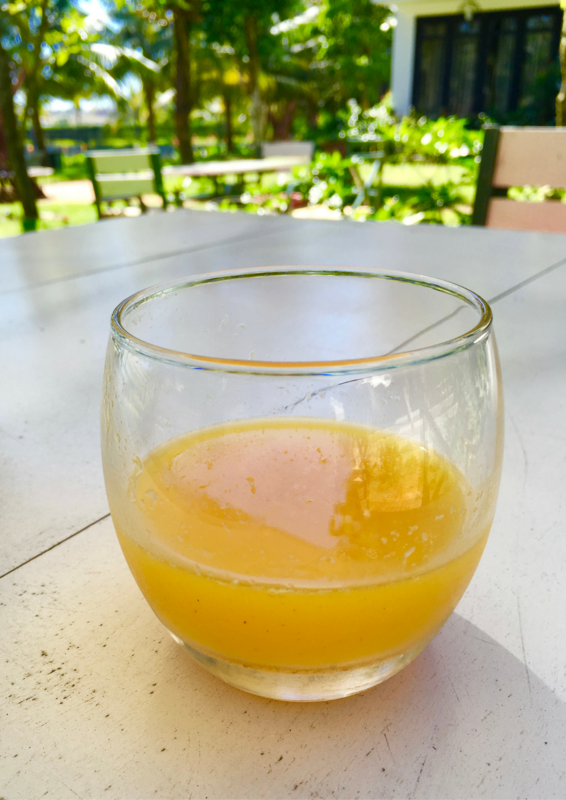 You can experience a taste of passion fruit in desserts, cocktails, yogurt, salads, or in this simple, fresh, and cool glass of juice. The juice made from the purple passion fruit is tangy and sour, and likely to give you that boost of energy you need to withstand a hot and humid day in Hoi An. 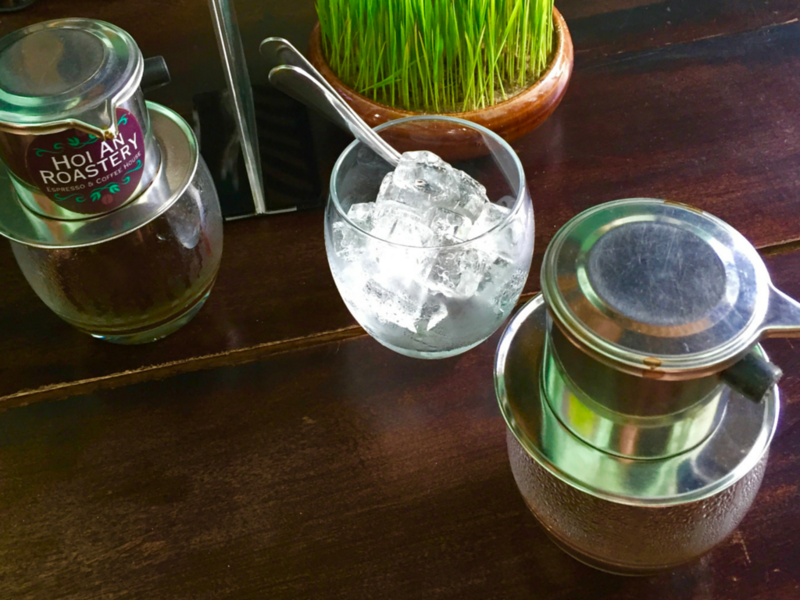 Vietnam is the second largest producer of coffee in the world, so it’s indeed a must try drink in Vietnam. Stir up your coffee and sweet condensed milk, and add in a few ice cubes to make for a rejuvenating traditional Vietnamese drink. Rob and I flew into Ho Chi Minh on August 1st. I was expecting to be disappointed, as we were really late for the reported season, in June, and I’d heard that Vietnam only grows Monthong anyway. I couldn’t have been more wrong. Vietnam has an estimated 20 unique varieties, undiscovered and unnamed treasures that I hope will survive the insidious encroachment of Monthong and Musang King. The word for “durian” in Vietnamese is Sau Rieng (pronouced Sow-Ree-Eng). Its literal translation is “one’s own sorrows” or “private sadness.” The story goes that a long time ago, a Vietnamese solder went to war in Thailand. There he met a beautiful girl and married her. She loved a fruit called “durian.” Unfortunately, something happened to her and she died. When the soldier returned to Vietnam, he brought with him her beloved fruit. When Is Durian Season in Vietnam? Vietnamese durian trees bear fruit only once a year. The season in the lowland provinces starts in May and peaks in June, although when we visited in mid-August there was still plenty of durian. The highland season peaks a few months later, in late August or early September. You can expect to find durian in Vietnam anytime between May and September. Durian can be purchased anywhere in Vietnam, but it only grows south of Hue. Surprisingly, the humid flat lands of the Mekong Delta are a major production area. Here’s a list of the major growing areas where durian canbe easily found: Dak Lak, Dak Nong, Ben Tre, Bin Thuan, Tra Vinh, Dong Nai, and Lam Dong. 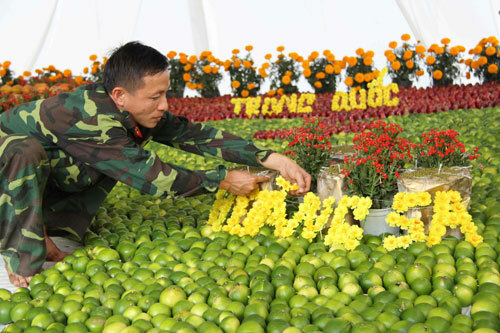 The most popular varieties are Ri6 (pronounced Ree-sow), which has an intensely yellow interior, and Chin Hoa, which has enormous arils. For the wilder, highland Kampung durians, head north into the Central Plataeau. for as low as 15,000 dong per kilo. Durian is purchased by the kilo and packaged in styrofoam on the spot, unless you request otherwise. When buying durian, the vendor will give you an entire piece to taste before you buy. If it doesn’t taste good, you may reject the durian. Remember to check all sides for worm entry sites. Tell the vendor whether you would like a bitter or sweet durian using the words below. Pomegranate is a very nutritious fruit, especially beneficial for your body shape and skin. However, if you want to drink pomegranate juice that home without the press or whether the machine that you lazy to clean the machine after each use, then use this very cool tips. No pacifier still makes the pomegranate juice delicious but fast. First, use a circular knife to circle the tip of the pomegranate and remove the pomegranate shell. Next, you use a knife to cut the lines on the pomegranate shell split into 6-8 pieces. However, you just cut past the shell and not cut too deep to make the pomegranate broken and flowing. Then use your hand to gently remove the pomegranate leaves. Then you use the spoon to knock on the pomegranate to the pomegranate seeds fall into the bowl. After pomegranate seeds are removed, put them all in a plastic bag and put a straw into the plastic bag. At this point, you only need to use the hand to seal the plastic bag, the pomegranate seeds will break itself. In addition to the hand, you can use the pressure plate is also effective. The more you press, the more juice you get. Finally, you use a scissors cut a corner plastic bags and pour the pomegranate juice is finished. Just a few simple steps and no need for presses you have a cup of delicious pomegranate juice. By doing this cleverly, after the juice is done, you only need to empty plastic bags and straws, and no need to use the toilet to squeeze trouble anymore. Vietnam map made of many fruits Military Command by Can Tho City People's Committee in collaboration Thot district organizations exhibiting. This is one of the important events taking place in the framework of the Festival of Military - People of 2015. 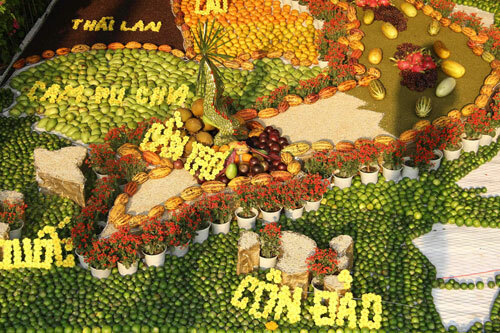 Vietnam map made of fruits. On the map clearly shows the two archipelagos Hoang Sa and Truong Sa of Vietnam. Map is made complete. 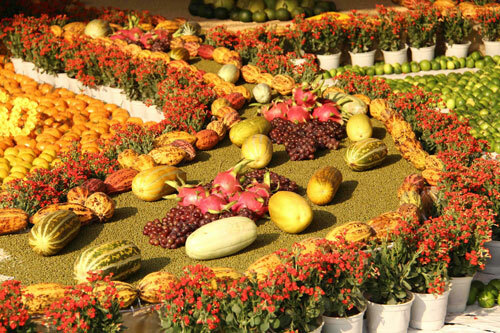 Vietnam map made of fruits has a total area of 60m2, in which the width of 6m, 10m width and height is 2.5m header, footer is 0.5m. 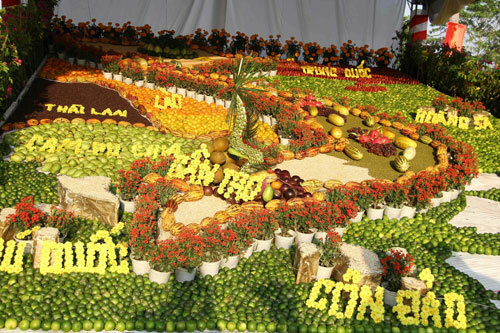 To date, Vietnam map made of fruits is said to the largest Vietnam. Map Vietnam has nearly 1,000 kg of fruits used for fruit 800 kinds, 600 basket. The total value of this map over 100 million. Organizing Committee said, tomorrow (7.2 days), the map will be completed and the Organizing Committee will recommend the Guinness recognition. 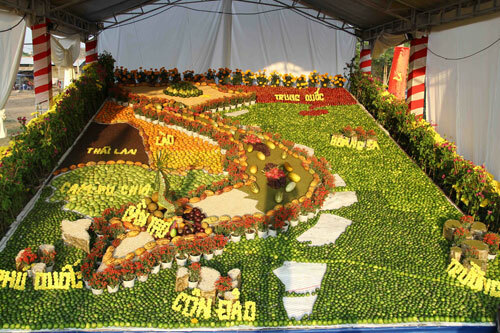 Map made of fruits are specialties of the Mekong Delta. Sydney was a scorcher the last couple of days as temperatures rose to 41°C. The only sensible thing to do in this extreme heat was to stay indoors and crank up the air conditioner. With the extreme heat I haven’t had much appetite lately. I have been skipping lunch and just eating che sam bo luong. 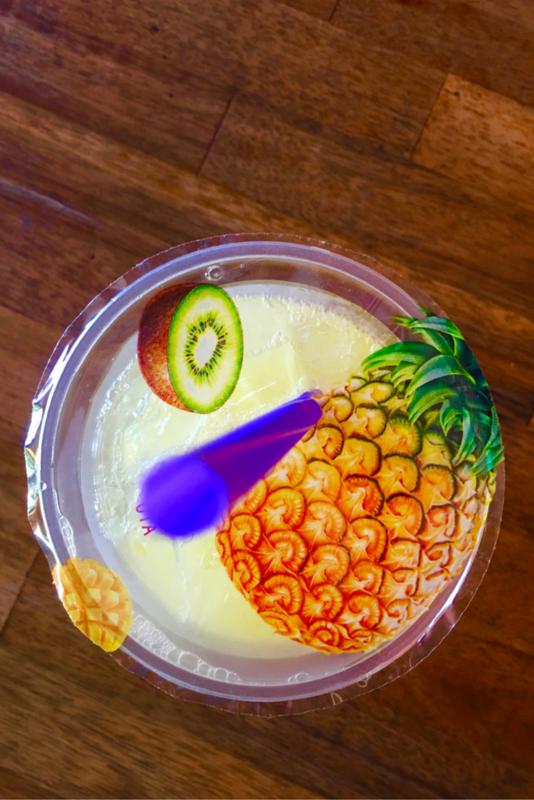 Che sam bo luong is a very refreshing and cooling drink (or dessert) which is so good for you. It can be very filling too with all the goodness of barley, longans, dates, seaweed, gingko nuts and lotus seeds. I’ve boiled a huge pot which we have been eating for days. I love mine chilled with ice and lots of syrup. To make this you don’t really need accurate measurements. I just put in what I like more and less of what I don’t really like (seaweed). Make it sweet or light as you like. Soak barley a couple of hours prior to cooking. Soak and wash dried longans and black dates 1 hour before cooking. In a pot add water and barley on low heat and let cook for 3o minutes. After 30 minutes add longans, dried dates and sugar. Soak and wash the dried seaweed. They are very slimy and need a couple of washes. Cook the barley, longans and dried dates until they are soft. 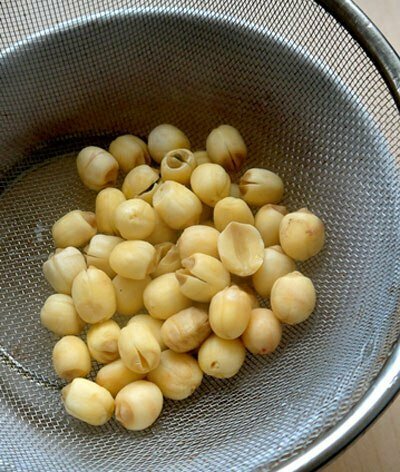 Add the gingko nuts and lotus seeds and bring to boil. Add the seaweed. Bring to the boil and take the pot off the heat. Can be served cold or hot. Step 1: Soak mung bean, Chinese pearl barley, dried longan, dried apple into different bowls with water. Wait for 1 night. Next day, we can start cooking one of stunning Vietnamese Dessert Recipes for family. Boil water and then add lotus seeds into pot. Cook until it is soft and add more 50g palm sugar. Step 2: Peel off the cover of tapioca fruit, slice into small cubes and put into pot in step 2. Cook until it absorbs all sugar and turn off the heat (15 – 20 minutes). Step 3: Cook Chinese pearl barley in water, stew until it is soft. Next, pour them into basket and clean quickly with cold water. Clean well dried longan, dried apple and wait to get dry. Peel off the cover of lotus fruit, slice thinly about 0,5cm. Step 4: Use one small pot, add 2 – 3 bowls water and add lotus fruit for stewing in 15 – 20 minutes. Then, add more mung bean and 2 – 3 bowls water into pot. Stew until they are soft, add more 50g palm sugar and cook more 10 minutes to absorb sugar. Soak sea weed into water about 30 minutes. Clean few times and wait to dry. Step 5: Cook 500ml water with 50g sugar. Pour lotus seeds and tapioca fruit above into pot. Wait until it boils; add more Chinese pearl barley, mung bean and lotus fruit into pot. Then, add sea weed, dried longan, dried apple wait to boil and turn off the heat. Do not cook too long; their crispy will not exist longer. Finally, you just finished one of amazing Vietnamese Dessert Recipes. When serving, make sure you can scoop a little one by one like Chinese pearl barley, sea weed, mung bean, lotus seeds, dried longan into each glass. It will more delicious when adding more ice. Moreover, as you can see, it is not only fresh, but also really good for health with many good ingredients like apple, mung bean, lotus, sea weed. Hope this recipe can satisfy what you need. Good luck for your cooking and have a good appetite. 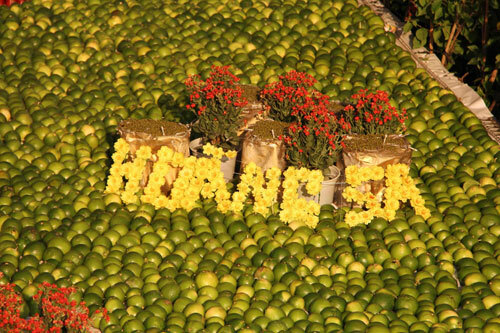 Southern Vietnam is the largest fruit granary of the whole country, since the region’s weather is warm with long hours of sunshine, high average temperature and humidity year round. There are even tours arranged exclusively for tourists who love visiting orchards where they can witness how the fruits are grown and try fresh fruits right at the garden. As summer comes, the annual Fruits Festival is held in Ho Chi Minh City, attracting millions of visitors, local and foreigners alike. Tropical fruits are often found very nutritious, providing rich source of carbohydrate, vitamins (especially A and C), minerals and fibres. Its flavor is often teh extreme of either sweet or sour, and many comes with a particular fragrance that is unmistakeable. Due to the typical weather conditions, the fruit’s colors are vibrantly eye-catching, with red, yellow and orange among the most popular ones. The abundance of fruits in the region also means that people use fruits in many different ways: eating raw, making juices, mixing salad, preserving jams and many other delicious desserts. In northern Vietnam and central highland areas, where the temperature is cooler with four separate seasons, farmers also grow temperate fruits such as apple, strawberry, cherry, grape, peach, or pear, making the collection of fruits in Vietnam an extremely rich one. Following are some of the fruits you will be encountering as you make your way to Vietnam; some are probably found in the China town nearby to your residence. Mango is a nutrition-packed fruits and the Vietnamese one may be very different from what you have experienced in your local grocery stores. Read more about Vietnamese mango and recipes from mangoes. Fruit lovers: Young people at the Sài Gòn Fruit Fair on Nguyễn Tất Thành Street. — VNS File Photo. 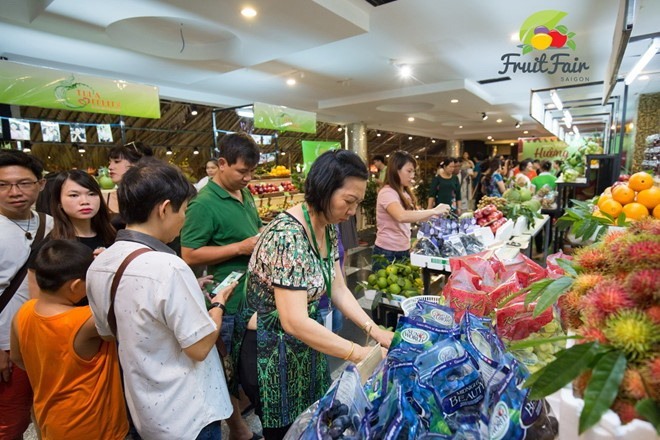 Sài Gòn Fruit Fair on busy Nguyễn Tất Thanh Street in District 4 has emerged as a new destination for HCM City’s young people and budget-conscious consumers. 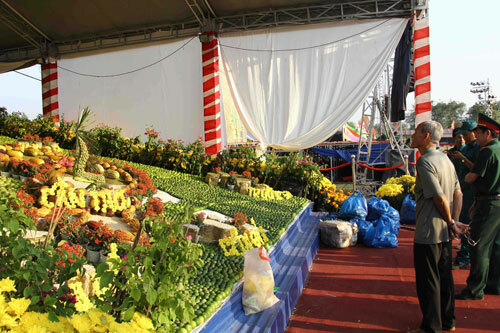 The fair, which opened on August 19, has more than 30 stalls selling fruits from the Mekong Delta such as mangosteen, durian, rambutan, watermelon, longan, grapefruit, and avocado, as well as imported fruits like New Zealand apples, Australian oranges and US cherries. 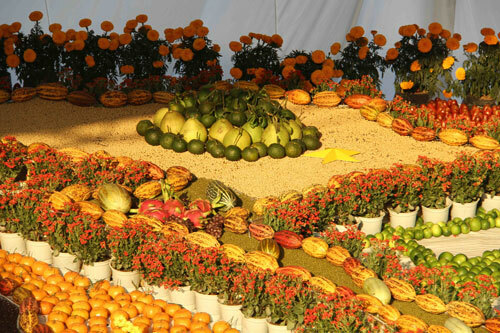 The fair also introduces international tourists to the richness of Vietnamese vegetables and fruits and promotes the unique cultural traits of the southern region through traditional favourites like the bamboo, folk music and áo bà ba (a shirt worn by southerners). The establishment also offers fun activities including music shows at 7 pm every Saturday and Sunday, lucky draws and dance shows.